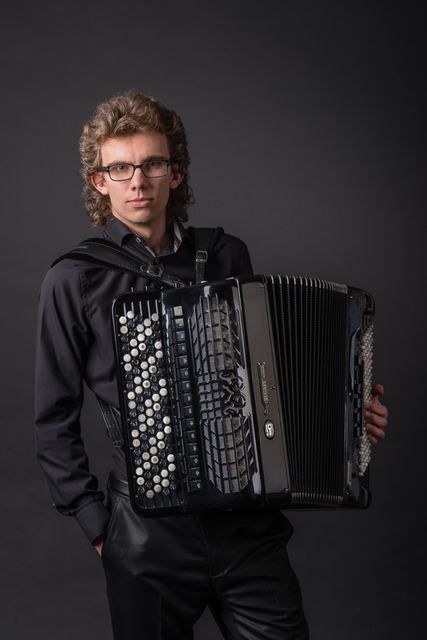 Recently MILAN REHAK got first prize on several international accordion contests such as Pardubice(Czech), Pula (Croatia) or Saint Petersburg(Russia).He is still 21 years old. 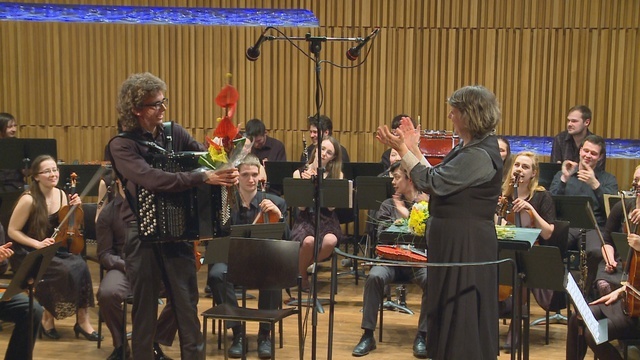 When we hear a word 'accordion',we associate musette of Paris or tango of Argentina.But what music is played in Czech with accordion? 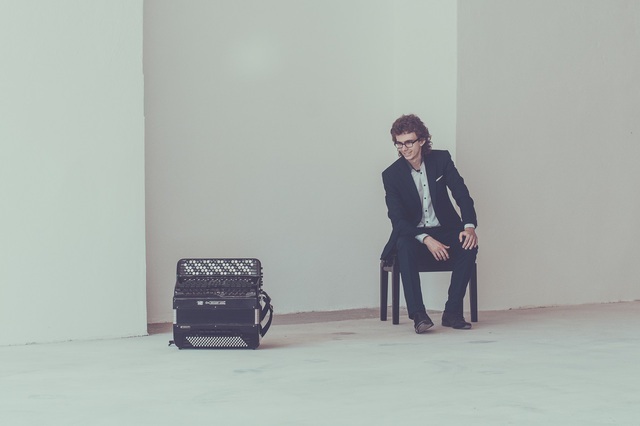 Then I interviewed a young accordion master of Czech, MILAN REHAK. Q When did you start playing accordion and why? A I have been playing accordion since I was 6 years old. I started to play accordion because of my grandfather. He is the only member of our family who plays a musical instrument. I was watching and listening him every time when he played.That was the first moment when I decided to start learning to play this instrument. At the beginning it was just one of my many interests because I was also really into painting and drawing, but I realized the accordion is the right thing for me after a few years. And what is also very important to say, I have got a full support from my parents for my interest in playing accordion. They have been supporting me since I started to play accordion, and I am so grateful for all their help in my beginnings. Q Please let me know how you were given the lesson of the instrument. Who was your teacher and what has he (she) taught you? 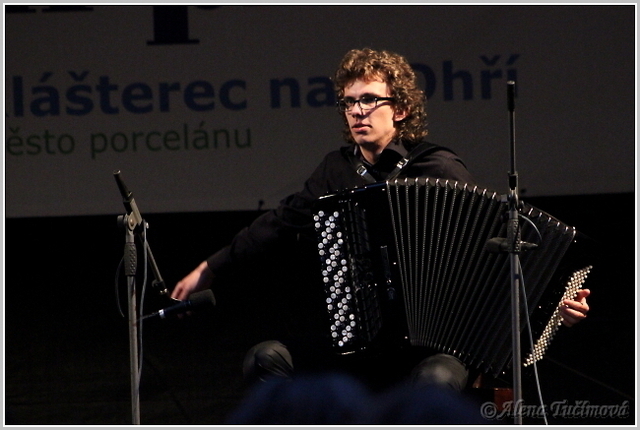 A I began to learn accordion at the age of 6 at Elementary Music School in my hometown Celakovice. My first accordion teacher was Hana Mikova and she has given to me all the foundation of accordion play. Then I studied as a student of professor Josef Hrebik at Prague Conservatory. Under his leadership I was taught how to interpret music the right way and I got pretty good technical skills. Also I started to practice much more than before because I got a great motivation. 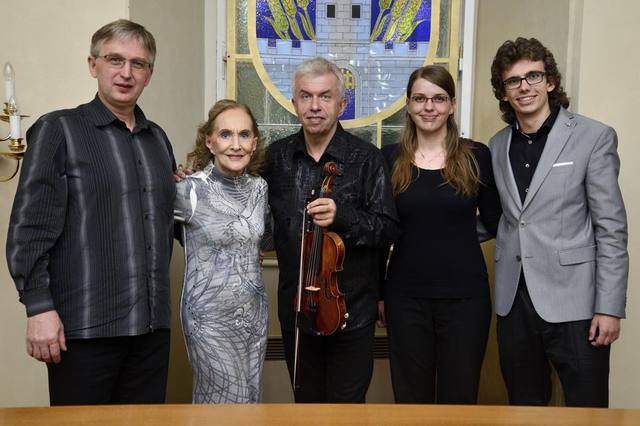 At the Prague conservatory I had a chance to improve all my technical possibilities and thinking about music. I have also participated in some masterclasses but I am always trying to find my own way to express feelings through the music. Regarding my future studying plans, I have been admitted to the Royal Music Academy in Stockholm, as a student of Anita Agnas. And I am extremely looking forward to this experience. Q What accordionists do you respect the most? 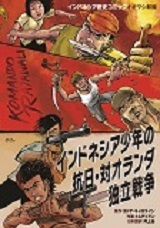 A You know, it is not only about accordion players. I respect really a lot of musicians and people from different professions. Of course in the past I had a lot of idols among musicians, and I still have them, but I respect all people who make something remarkable and special. 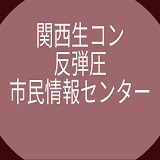 I do not really want to name specific idols because there are hundreds of people whom I admire. Q Please tell me about your favorite accordion pieces. A If I have to choose my favorite, it is definitely “Fairy Tales” for accordion and orchestra by Vaclav Trojan. 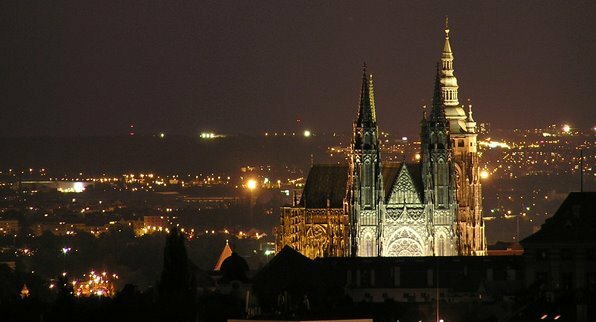 (I have already had a chance to perform this Concert with the Prague Conservatoire Symphony Orchestra). 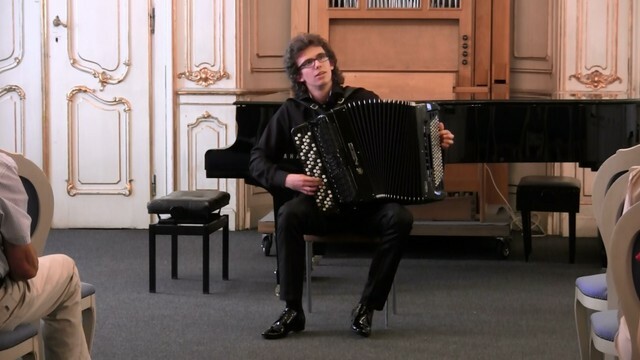 Furthermore, I like music of Sofia Gubaidulina or some baroque pieces performed on accordion, as well. But nowadays, I prefer to play the energetic and strong music, that is what I really enjoy. Otherwise, I like most music genres. 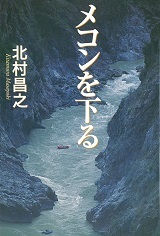 It does not really matter if I play classical music, contemporary music, tango or jazz. I like these all. Because I love music and I love almost everything what is connected with music, with good music of course. Q Have you had any difficulties in developing your music? A Not really. To tell the truth, I did not like to practice accordion when I was a child. It was pretty annoying to practice at the beginnings for me. 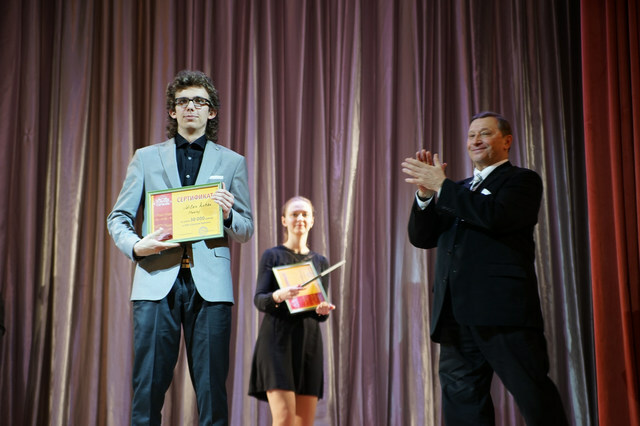 I started practicing more after admission to the Prague conservatory. However, after I realized my life goals, I have practiced much more since. I have completely got rid of stage fright in recent years and now I enjoy every moment on a stage. So no real difficulties. And as I said before, I have had a full support from my family. Q What do you think about accordion and about its role on stage? 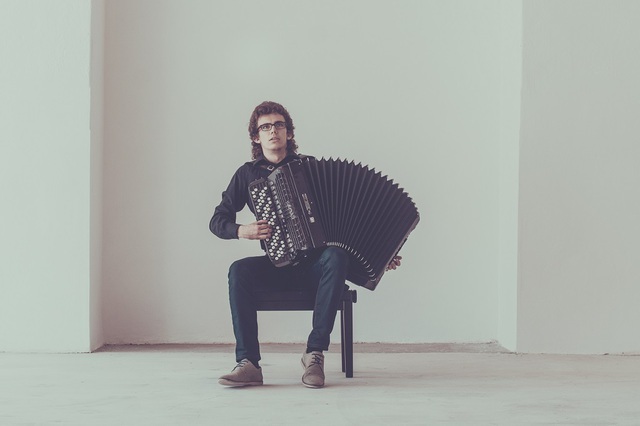 A Accordion was known as a folk instrument in the Czech Republic in the past years but now it is different. Accordion is an instrument with a great potential and with possibilities which have not been discovered yet. In my estimation, there is quite a big chance to move this instrument forward. You can play so many kinds of music on accordion and there are many ways to create different sounds. So inspiring… I would like to spread awareness about this instrument among people around the world and entertain people with my performances. Q Please let me know about your concert in the near future. A I will perform at the Czech pavilion in Expo Milano 2015 in Italy on 22nd and 23rd August. 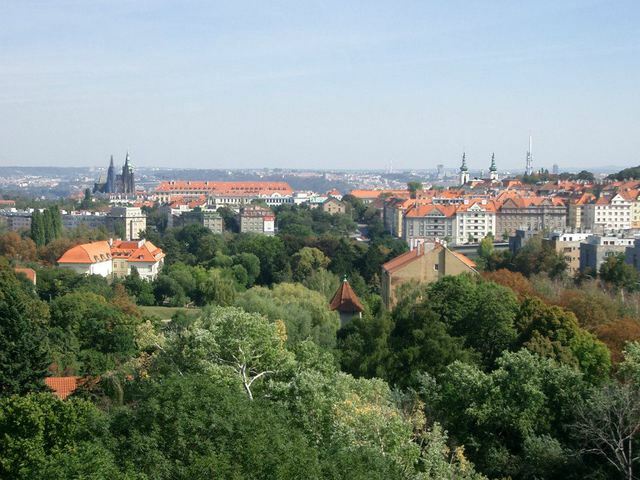 A I am living in the Czech Republic until September 2015, then I am moving to Sweden. And I am looking forward to that new environment and to new opportunities connected with music. 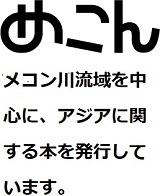 今年4月に行われたサンクトペテルブルクでの国際アコーディオン・コンクールの表彰式で。第一位に輝いた。Me at the International accordion competition in Saint Petersburg, Prize-giving ( April 2015). 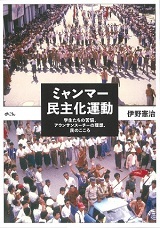 1st prize.